Apologies for the radio silence, as you might expect I’ve been a bit busy figuring out how to run a race track. As it happens, I have a hugely experienced, and extremely supportive team helping me get my head round doing just that. It’s going to be a long, and incredibly exciting journey and I’m fiercely proud to be representing one of the world’s best motorsport brands, MotorSport Vision. 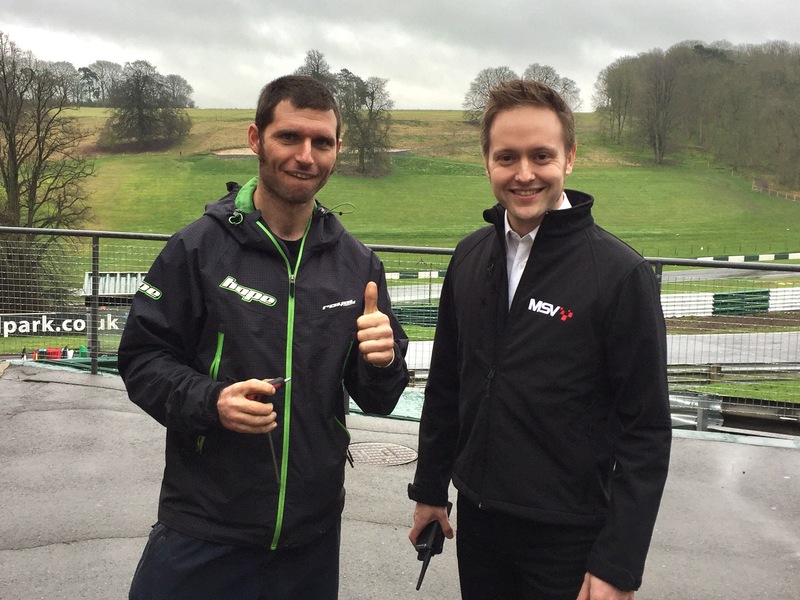 What a fortnight it has been since taking post as Circuit Manager of Cadwell Park race track in Louth, Lincolnshire. 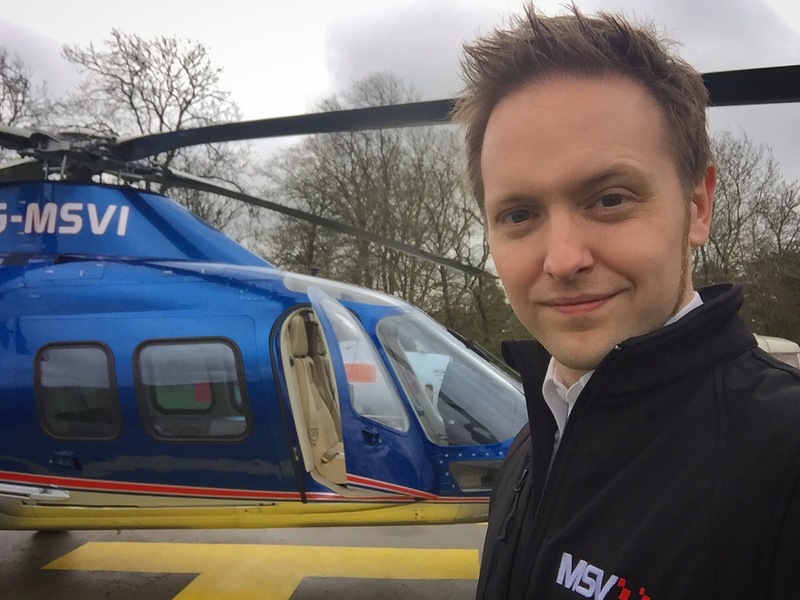 From racing cars, to racing bikes, and from helicopter visits from my Formula One driver boss, to breakfast with Guy Martin, it has been a truly eye-opening experience. Day two of the job saw me buried in health and safety paperwork. 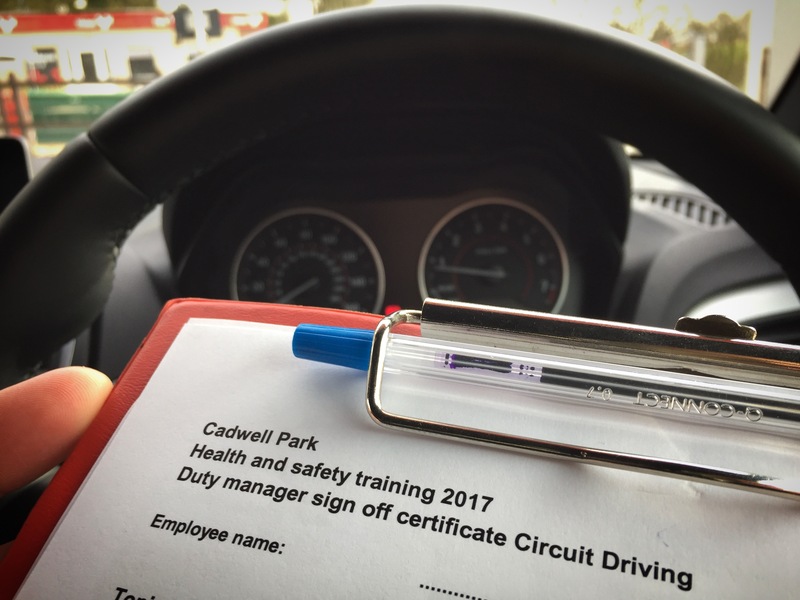 Which can hardly be a bad thing when the paperwork reads ‘Race Circuit Driver Training’. Yes, I know! For all the high profile, eyebrow-raising spectacles I’ve enjoyed so far however, the thing that has stood out to me above all else is the people of Cadwell Park. These people are the reason I took this job; the reason this circuit has the following it does, and I’ve genuinely enjoyed every single minute of getting to know them all. I firmly believe I have been entrusted with the management of one of the best, most passionate teams of people in the business. 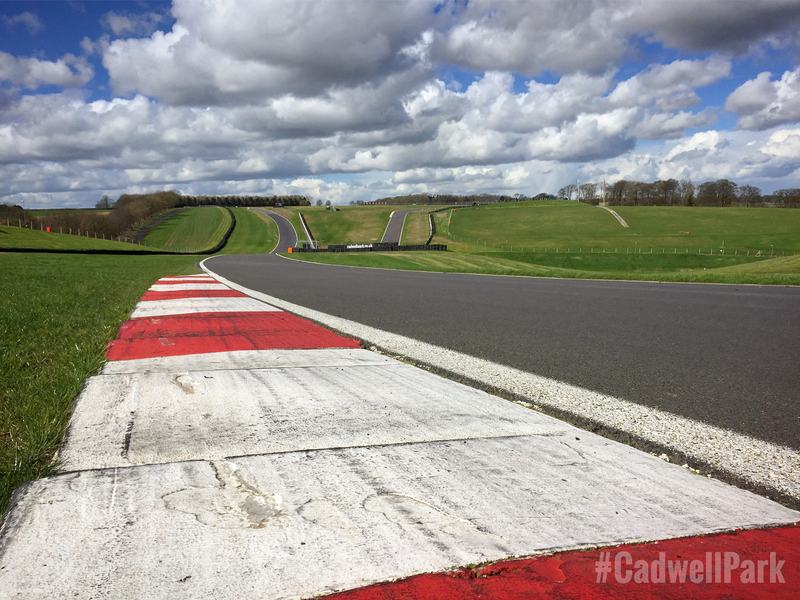 This is a sentiment which I hear echoed daily; by colleagues, customers and people who – like me – have come back time and time again because of their hard work in making Cadwell Park a wonderful place to visit. I must take this opportunity to say a big thank you to all those who have wished me well; on social media, email, in person, and by sending me thoughtful gifts. I appreciate the support, as I have always have, and I hope you continue to come with me on this journey. I will of course keep you posted as things progress. I would urge you to visit the circuit at your earliest opportunity – it’s one of the UK’s best kept secrets, and nothing can prepare you for the spine-tingling feeling of watching a superbike or single seater racing car all wheels airborne across the mountain for the first time.